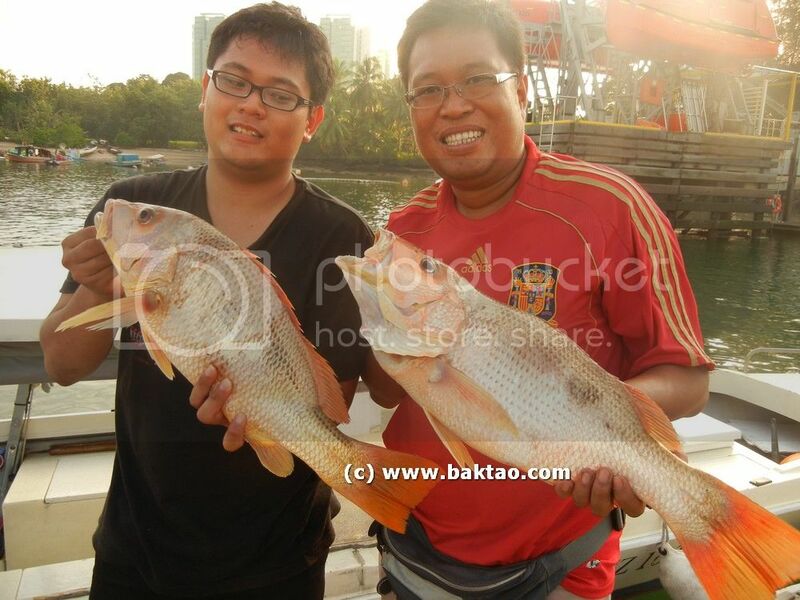 Every year we'll always try to organise and plan a fishing trip during National Day. When the whole of Singapore is busy with the fireworks and watching TV, the bunch of us would be out there in the sea doing some fishing and sometimes even watching the aircraft take off from Sudong and Pawai. 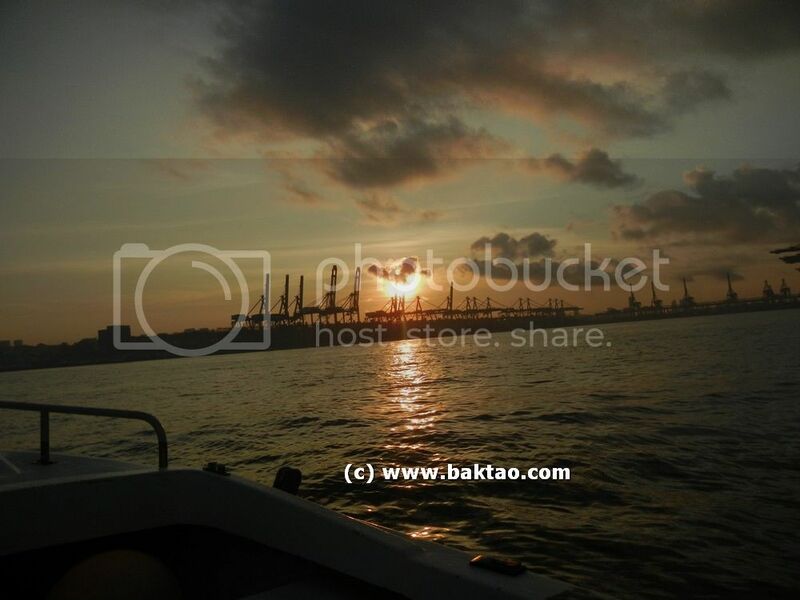 Fishing in Singapore is that tough... we'll have to find public holidays to actually have some time for fishing! 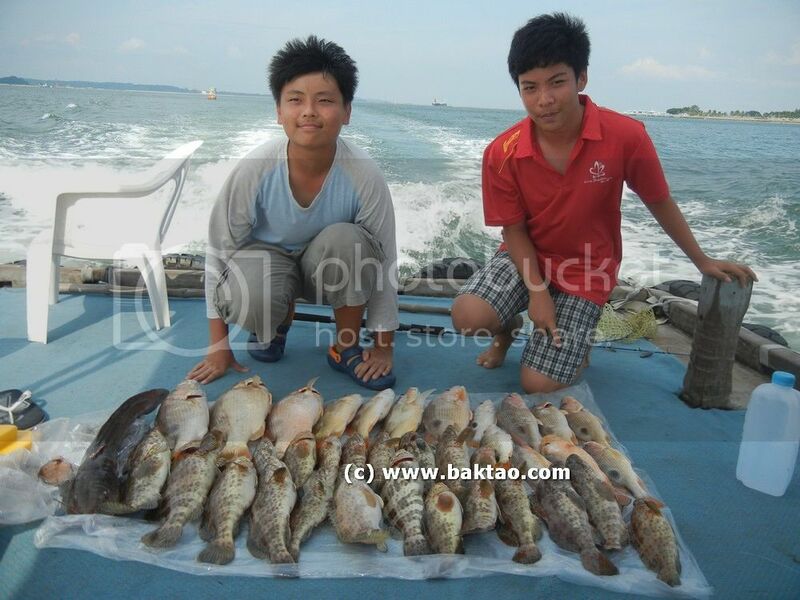 It was no different this year with a quickie fishing trip arranged with Abang. We set off from RSYC for a madai/tai kabura and inchiku fishing trip with Dave also using some metal jigs. 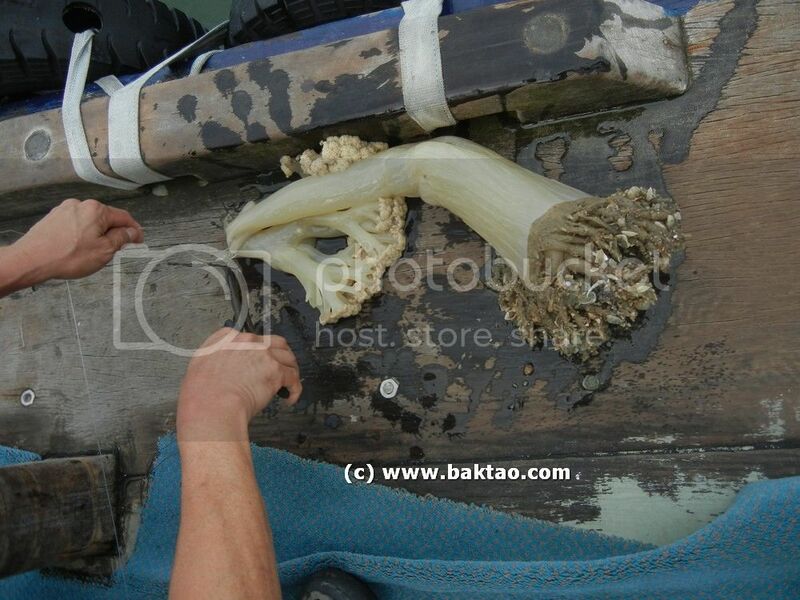 We were to fish the southern islands with only artificial baits and we did not even get any live prawns. 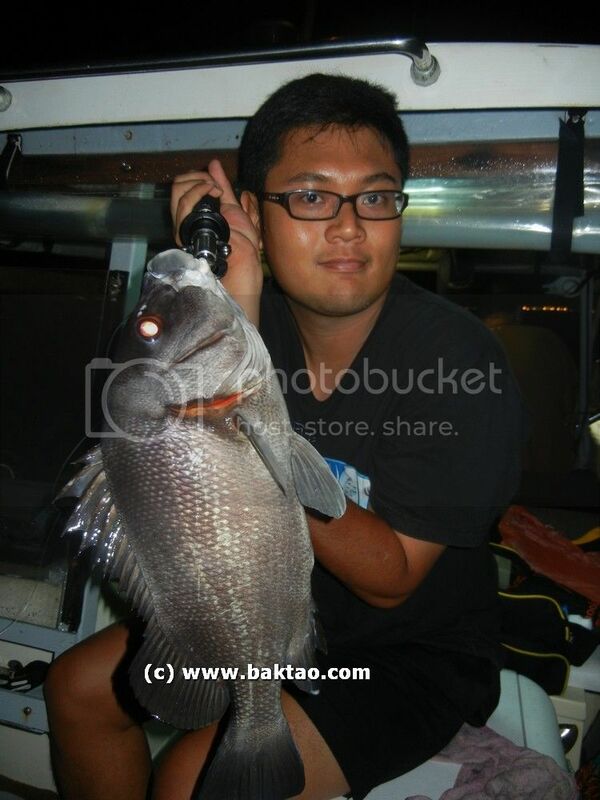 The wind was kind to us early in the morning and we managed to do some drift fishing or rather drift jigging where ah bao hit an unstoppable monster fish by madai bouncing on the sea bed. The fish stripped his stella 6k in a few seconds and he was shouting turn the boat! Turn the boat! That way! On the Engine!!! But it was over in seconds as the fish somehow cut itself off the reef. We suspected it to be a Giant Trevally aka GT because the leader was cut when he was pumping in the fish and not cut when on the run. 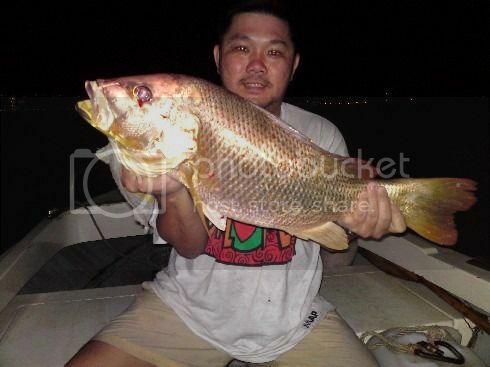 It could be that the GT slammed the madai and it's own face against some rocks in an effort to dislodge the jig. What a waste! 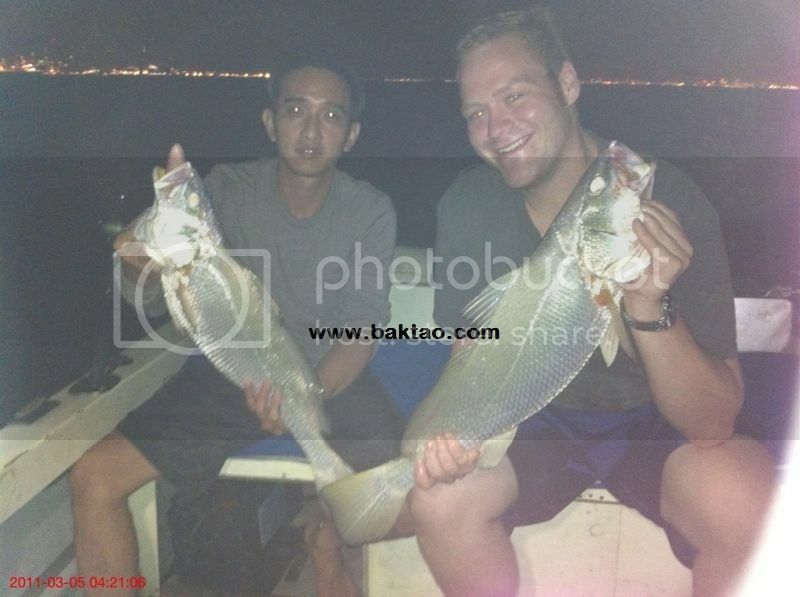 But we were in for a good time as Clarence got this beautiful eng ko/parrot fish/tuskfish on madai jig. The take was good and the fight was sweet! But if you would look at the video, the fish was hanging outside the net when it was netted with one hook on the fish, one hook on the net! Dave was not to be disappointed with his hardwork working those metal jigs though as a good sized sagai or bumpnose trevally took his jig and gave him some workout! Abang also had a great time landing some grouper on madai jig... no luck for me or Andrew though... and the wind finally picked up at noon time and there was no chance of doing anymore fishing as the conditions got worse and so we packed up. 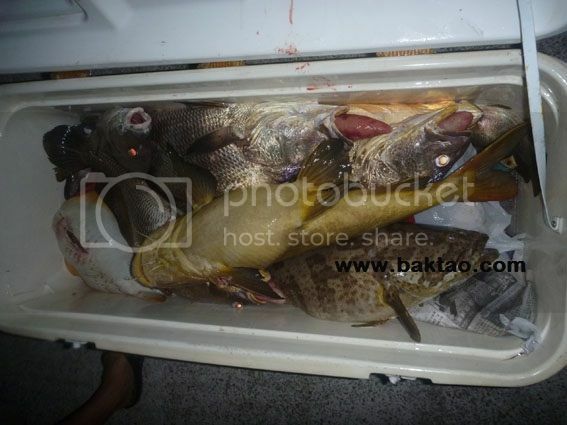 The total catch only being a few good sized groupers, 2 parrot fishes, a few spanish flags aka teeboon, 1 bumpnose trevally aka sagai. We had a good dinner at Ghim Moh... where we had... yummy fish! 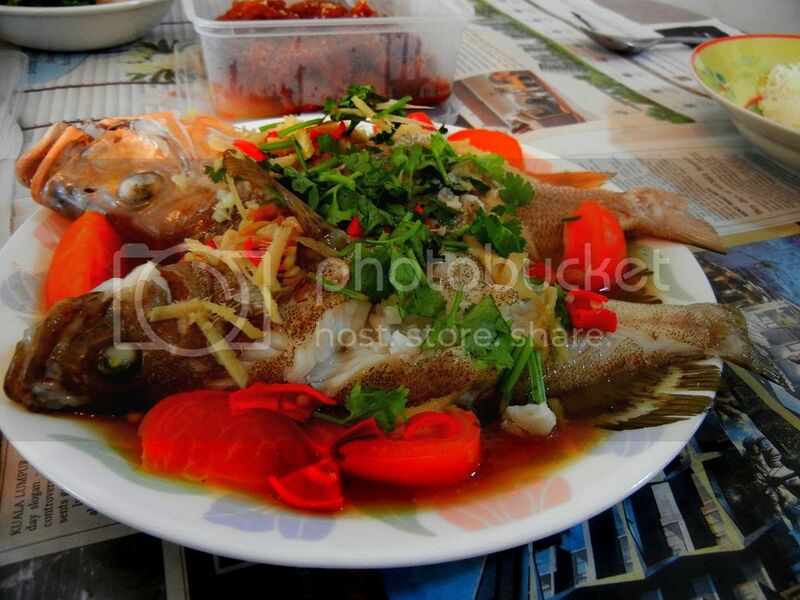 Sweet and sour grouper and steamed parrot fish! 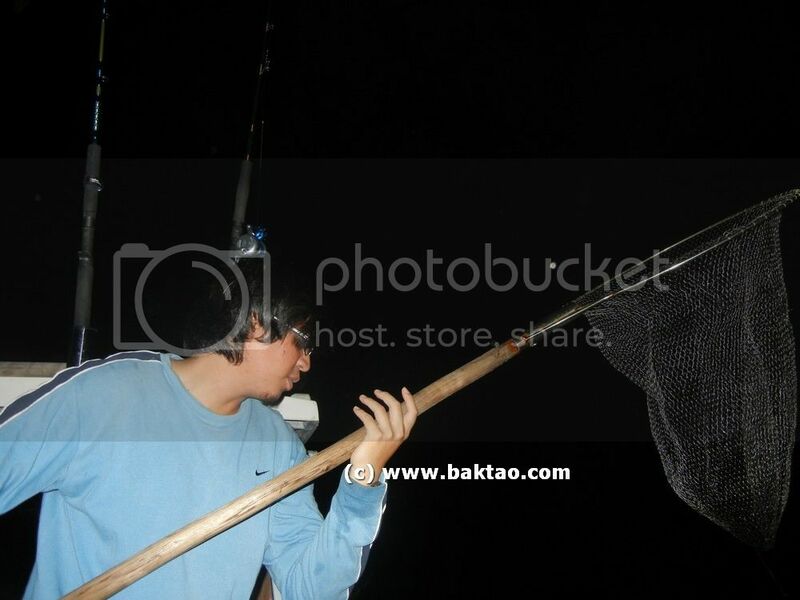 But then a wacky idea came and just one phone call meant we were on the way to Pekan Pahang to go fish up some sailfishes! All of us were grossly underprepared for Sailfish but we quickly mustered what we could and began the long drive up to Pahang which is near Kuantan. It's my favourite location for Sailfish because it's so laid back and out of the way which makes it more attractive than the Kuala Rompin Sailfish. Also, fishing wise, it is calming to be the only boat in the area fishing for Sailfish and this was primo as i recall horror stories from my friend's fishing in Rompin when numerous boats were out on the same grounds and lines were crossed between different boats! It was only August and compared to Rompin, the Sailfish will not be that active in Pekan yet... Pekan Sailfishes tend to peak around October due to the migratory patterns but I was very suprised at the amount of Sailfishes we saw during this trip. It was an extremely bumpy ride but we made it to the Sailfish grounds and we were greeted with numerous seagulls! Local fishermen often say that one seagull is one sailfish... well, we saw 2 dozen seagulls and when the Sails came close, I could only stare... There were easily 2 dozen fishes clustered together and when our live bait drifted past them, they didn't take! We only had a few bites in the morning with NO SAILFISH chasing the poppers! Quite amazing this one.... Our Captain Rickey commented that there are too many baitfishes in the water and I believed him because the Sailfish were playing with our live bait and merely slapping them with their tails and then swimming off! In anyway, one of my friends who was a Sailfish virgin landed his first Sailfish. Kudos to him because he has been trying for the past 2 years to land one but always failed..... the newbies will require more experience though as we struggled to revive some Sailfish. Here's a good cool underwater video done up by Kiat... love the squid attacking the camera! 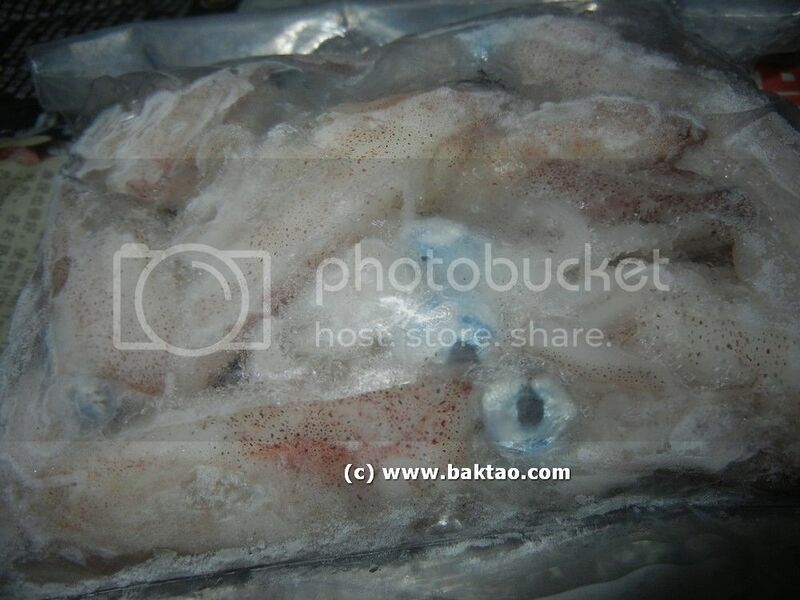 After a hot black day, we returned to shore and got rewarded with the best part of the trip.... Nonya squid, steamed ang ko li, calamari... It was good to have a taste of the nonya zheng after a few months... Simply love it so much that we always have to come back here! That's all folks of my 1 day Sailfish trip.... only possible in singapore! hahaha! The bite stopped at lunch time and we were to wait for the incoming tide and what did you know? Weiyee hit the jackpot! 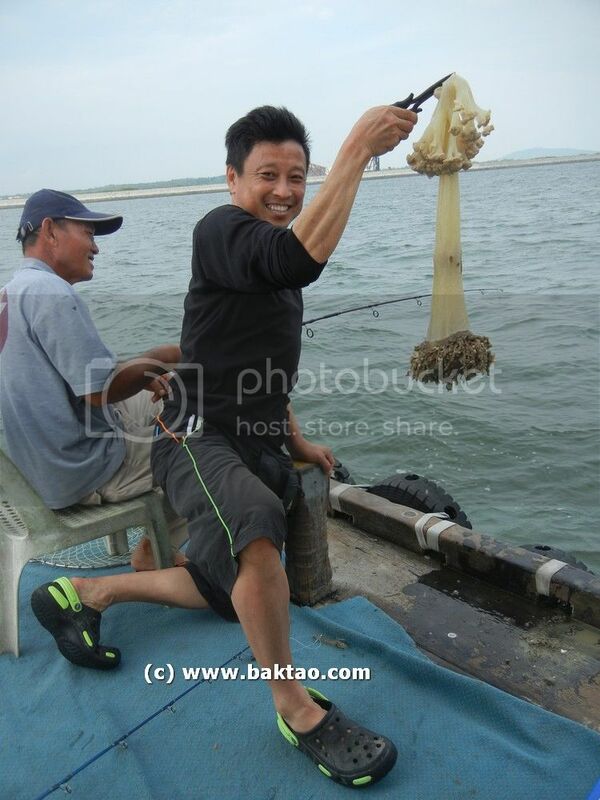 I was just beside him when he was saying he got stuck or sangoat on the seabed... when suddenly, the reel screamed. 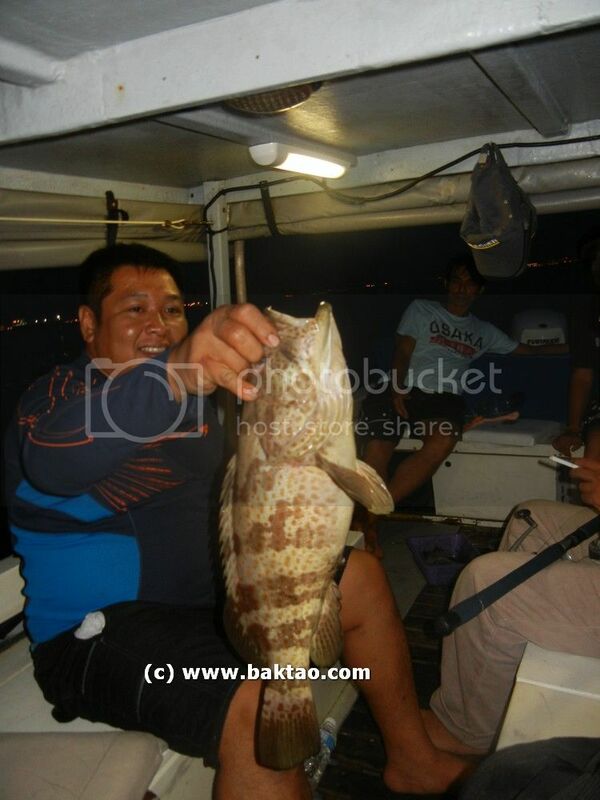 I looked at him and laughed together..... up came a 2.5kg grouper that was just lightly hooked at the lip! We also visited one of ah long's older spots at the end of the day in what resulted in some good grouper and snappers... before cutting the trip and heading back. Well, don't complain when there's still fishes! 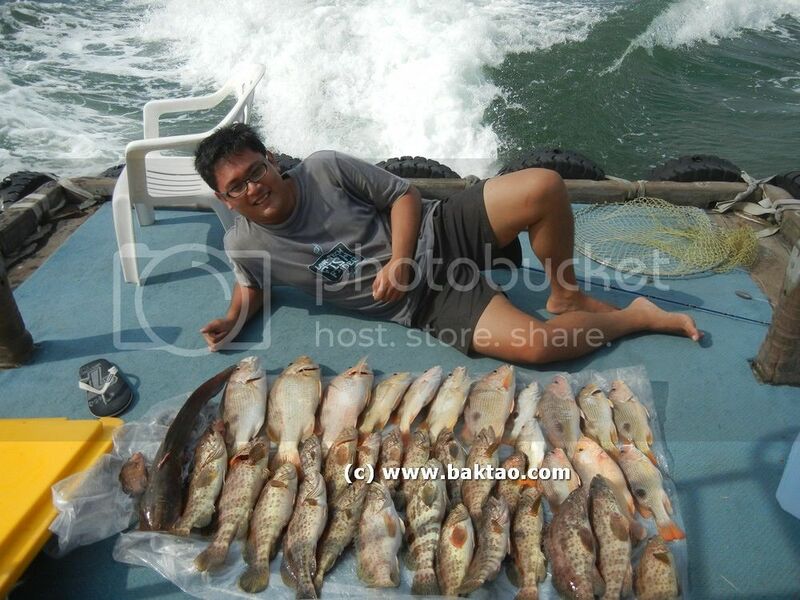 I've recently came back from Pekan from some fishing. I've had a friend who wanted a taste of the famous sailfish so since we had a last minute slot, we brought him there. Yes, I do not go to Rompin for Sailfish but to Pekan because I am so familiar and attached with the place. 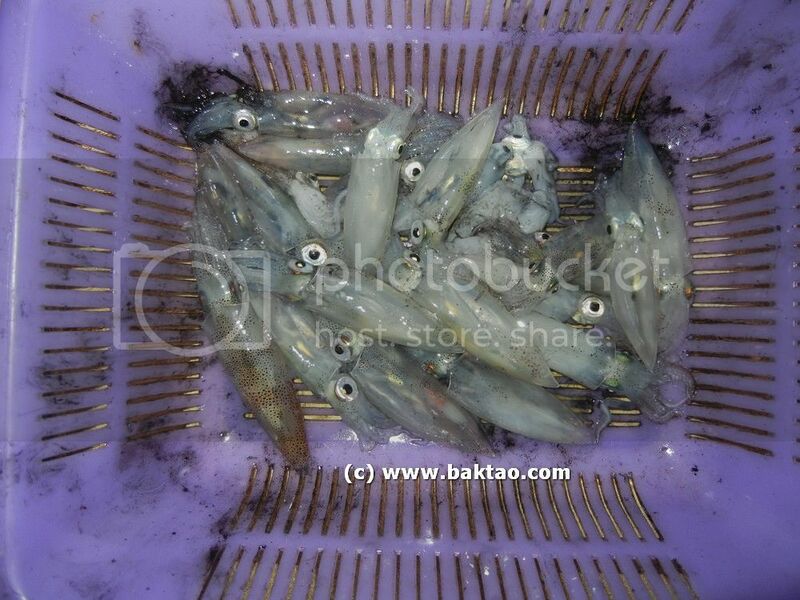 Other than the Sailfish, we had some squid as well. 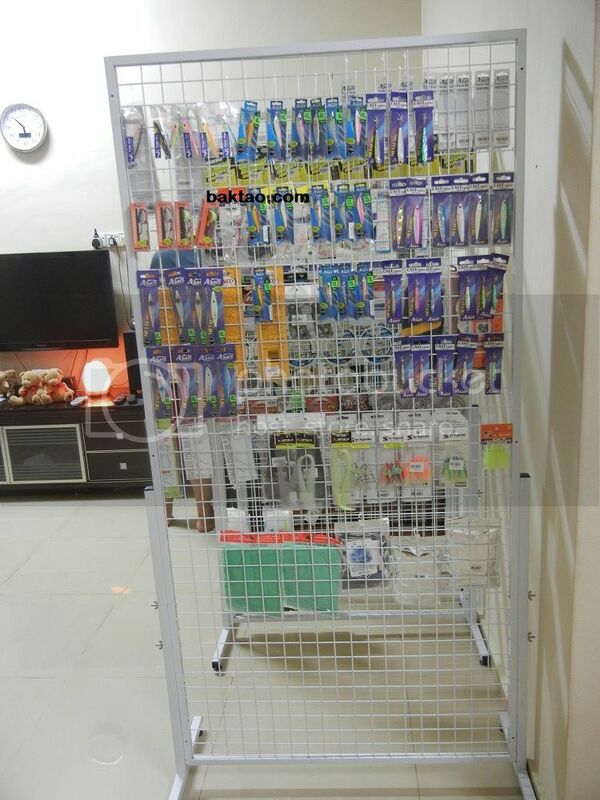 My favourite captain has setup a mini tackleshop in his own house - Fisherplan tackle. 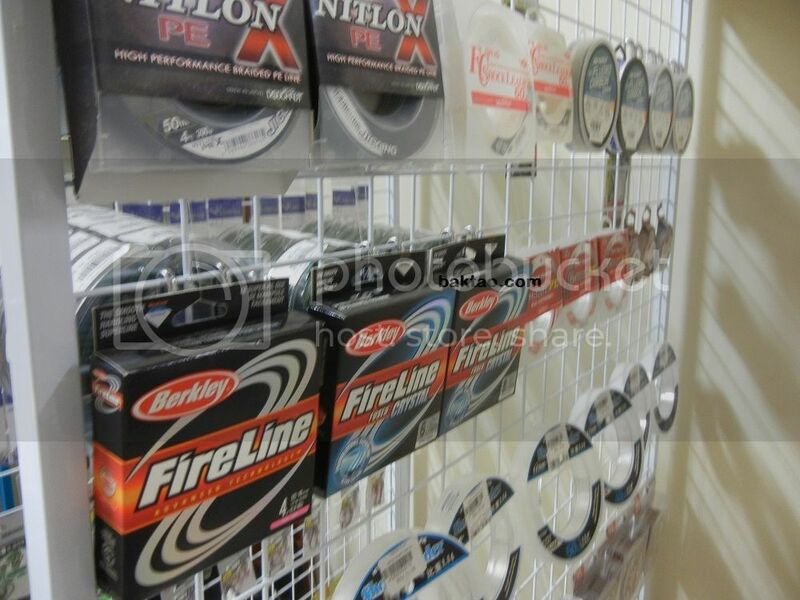 He has stocked the place with various essentials like jigs (asari cast fighters, pinktails etc), williamsom jet poppers, mainline like fireline and even shock leaders. 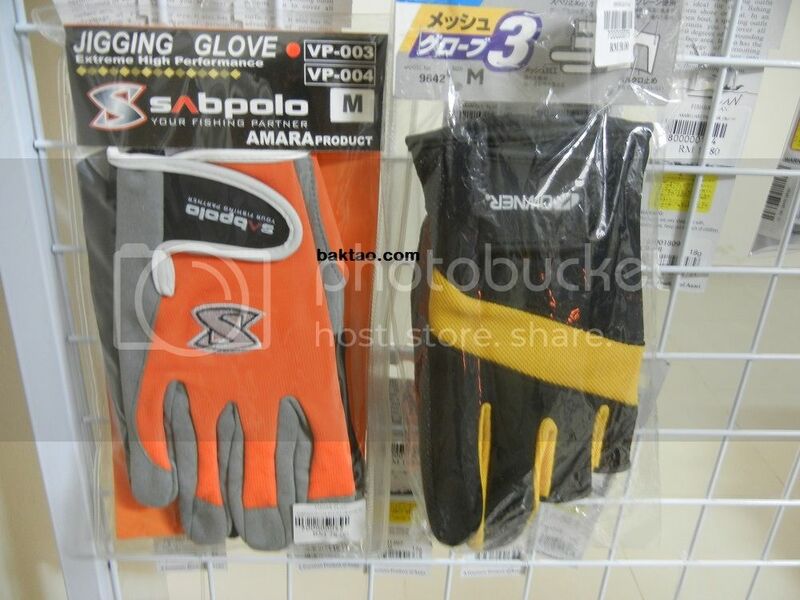 There are also owner fishing gloves, fishing hooks, reels etc etc. Those that are familiar with light jigging should be familiar with the Eupro Twincraft and Salty Fighter which is also on display. It's a good place to get some fishing essentials when you're up and about the area especially if your lures and jigs are lost to toothy critters like spanish macks! Do visit the place if you need light jigging stuff! 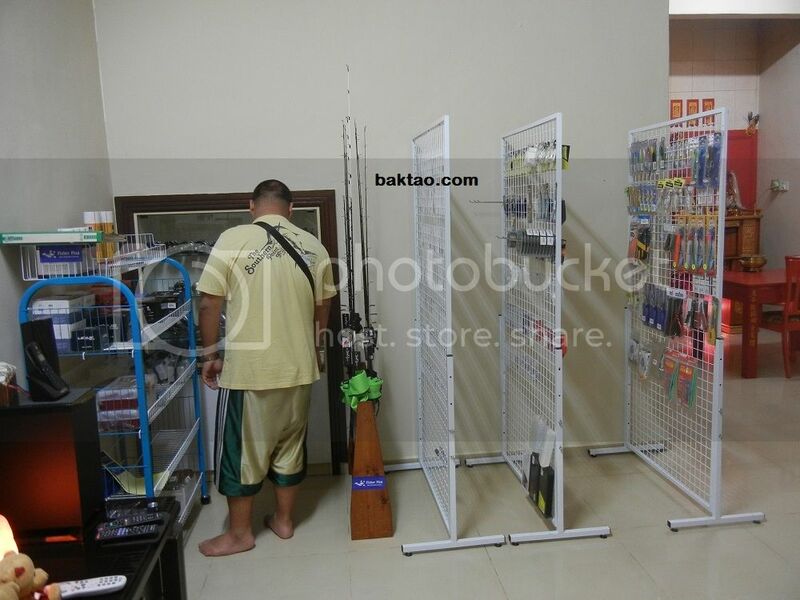 If you frequent beach road for fishing tackle shopping, you will be familiar with Deep Sea Tackle. They sell a mish mash of tackles there and generally anything from rods, reels and lures/jigs. They also sell a good range of terminal tackles like sinkers, swivels, split rings, sabiki jigs, pliers. It's a nice shop that have been there for sometime and I'm not sure why they are having this sale but it's a good chance to get some good stuff if you know what to look for. I hope they're not closing down but more of clearing stock! I'll be heading to the Maldives early next year to tackle some of my dream fishes - GT, Dogtooth Tuna, Red Bass, Yellow Fin Tuna, Amberjacks etc.... and it's tackle and technique preparation time! Had a good workout with the guys today as they educated me on the popping tips and techniques. 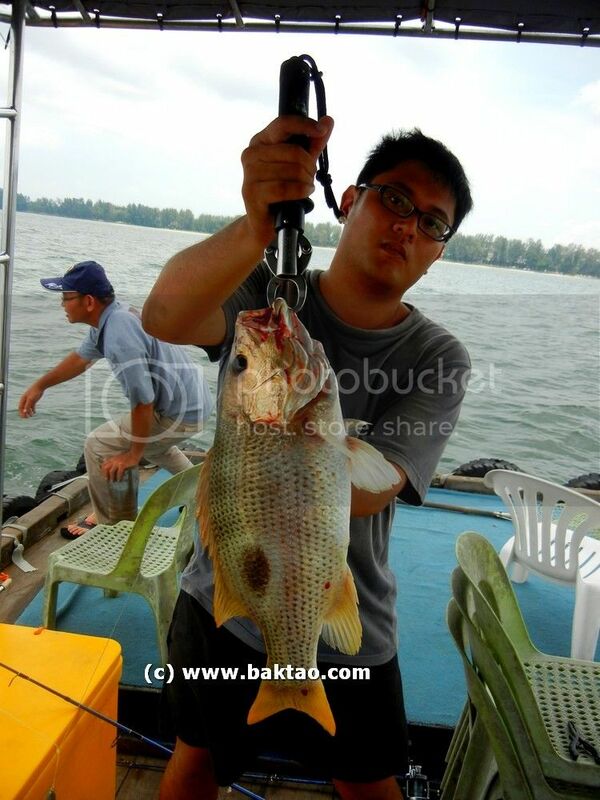 We had our popping session at Upper Seletar Reservoir fishing grounds. An extremely popular area for big game fishermen to practice their popping! We had a good high end range of tackle and I tested Stella/Saltiga/Twinpower reel combinations with the Ripple Fishers, Temple Reefs, Carpenter rods. Even the new cheap ATC Blitz was there. I'll be slowly deciding on a popping setup to get... Poppers like the El Toro, Yozuri Bull, Craftbaits etc were all introduced to me. Really really can't wait to go popping for GT! Here's some shots for remembrance sake! 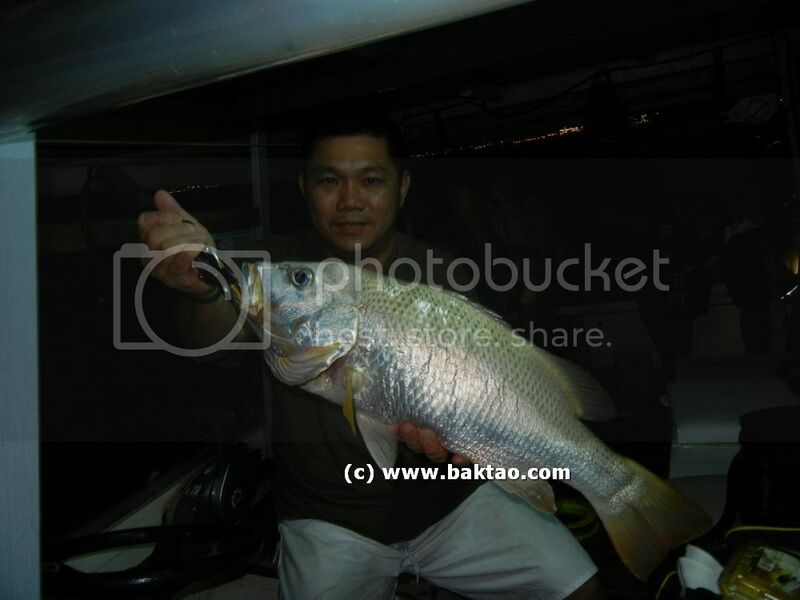 Personally, I have given up my hopes on Changi Offshore Fishing in Singapore as while there are still good fishes to be caught, the sizes are pretty much table sized. I will still have a few trips of year during the fishing season though. This is one of them. The reason why I still have some trips a year during weekends is family. My dad still loves to go wet a line or two and my this was my brother's second trip out to sea. I'm a pretty sentimental person when it comes to family fishing. My uncles from both sides of the family will join in as well together with family friends and so on. 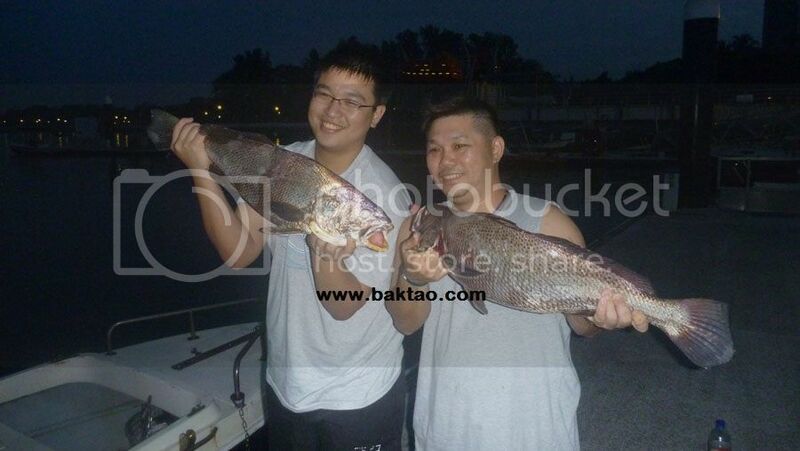 Fishing keeps people together and promotes good father son bonding. An all round photo of the fishing dudes! 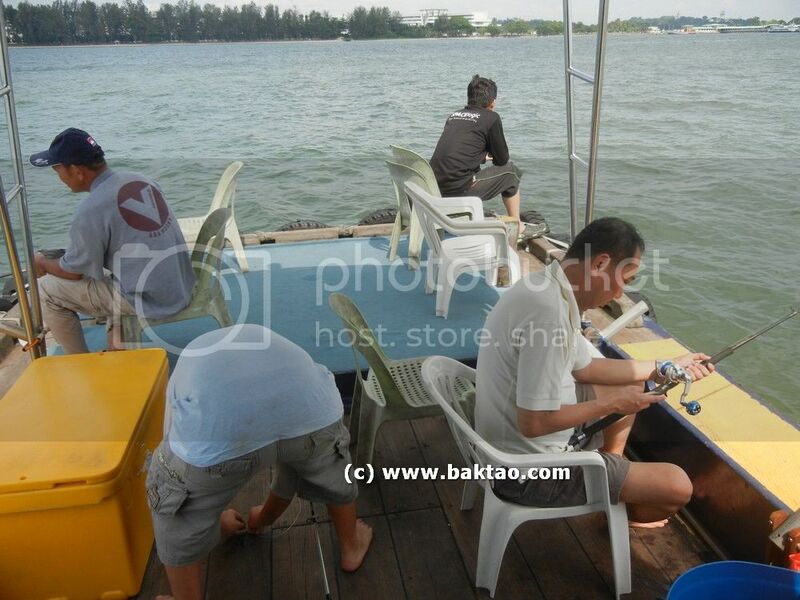 Anyway, I usually get my live prawns (bait) from Changi Village at Changi Pro Tackle from Gina early in the morning. I think I noticed that Riverland Tackle seems to have gotten bigger? The Changi Village Food Center (Hawker Center/Market) was closed for renovation so I had purposely made ice for this trip in the form of cubes! I got us 2kg of live prawns at $66 for 8 of us. While the date I had chosen was a good fishing date, the previous day had rained and I did not want to hope for anything ... but once we were out there, it was tight lines for all of us! I initially started out on madai and inchiku jigs but as time wore on, I just used bait... hahaha... it was easier for holding out the rig on the bottom as the wind was crazy today! My brother did well and landed 10 over fishes by just sticking his rod out and playing a fool! 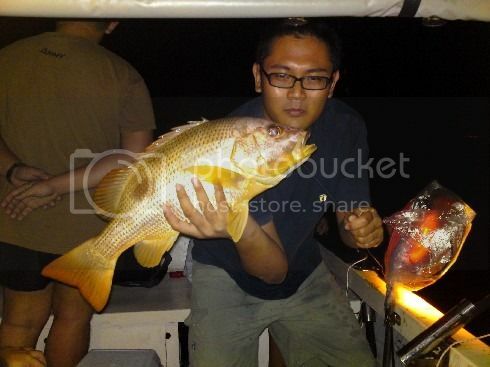 I only had landed 4 - 5 fishes but had a beauty of a Golden Snapper at 1.8kg. Dad had a blast too reeling in good sized Snappers. Alright! Good sized! Great fight on this one. Haven't felt this in quite awhile now! Uncle caught the fishes coral home! Even posed with a picture! 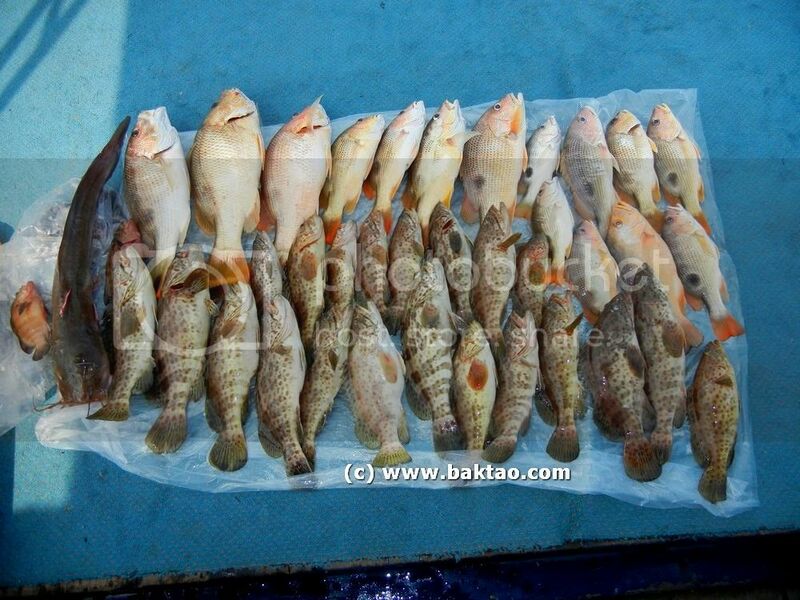 Well, most of the fishes today were table sized today and good for steam fish! 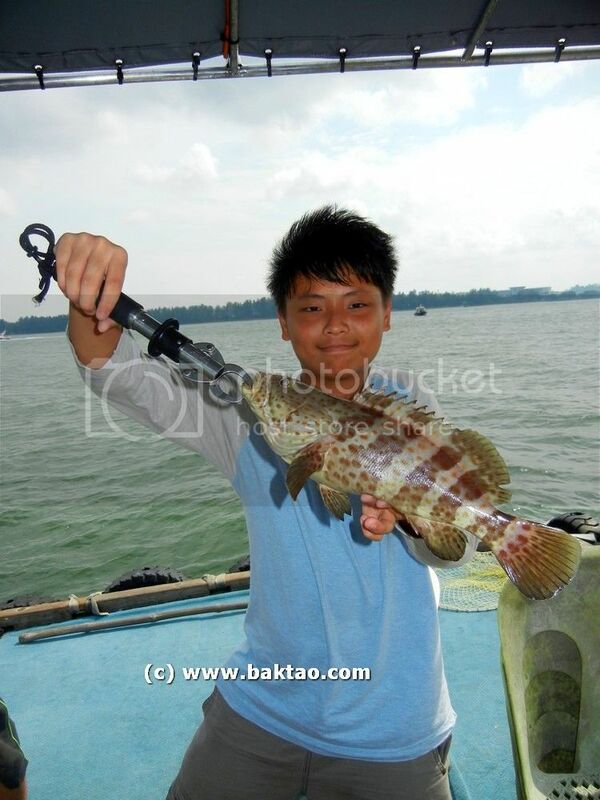 Good fishing for every boat at Changi that day from Ah Chong, Ah Fong, Ah Soon etc. Total catches with a few models! 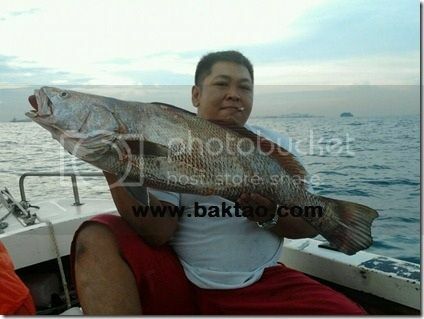 Quickly went home to gut the fishes and had a good meal of steamed red snapper and grouper for the mother! 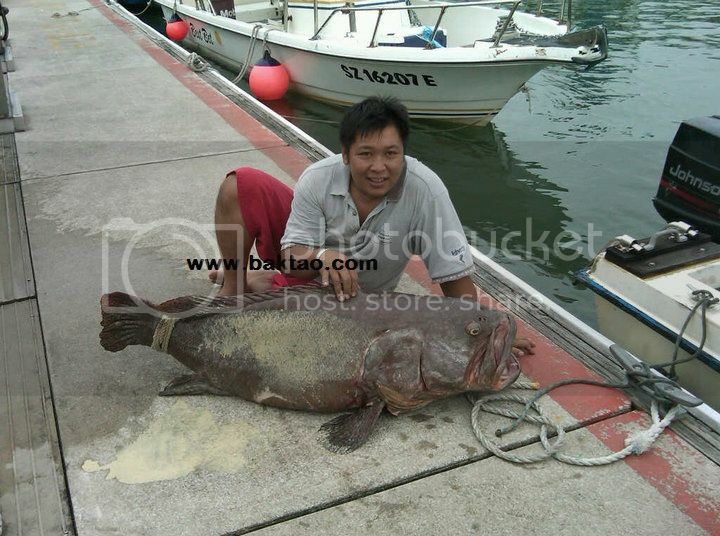 Still a pretty good catch for Singapore Fishing nowadays! Morale of the story? Good fishing time with family is priceless.